View the different services that The Body Spot offers including massage, cupping, reiki, and more. All services are provided by highly trained professionals. Sink deeply into a state of ultimate bliss. You might even fall asleep! This massage incorporates light swedish massage strokes accompanied by nurturing holds. This massage works to stimulate the body’s parasympathetic nervous system, sometimes called the “rest and digest system.” Perfect if you are looking to decompress and take your mind away from daily stress. Applies lighter pressure and longer strokes to release tension, break up muscle adhesions and provide relaxation. Uses stronger pressure and advanced techniques to rid chronic pain, muscle tension and connective tissue adhesions. Helps athletes prepare their bodies for optimal performance or recover after events. This massage will focus on muscles impacted by repetitive movements associated with the physical activity of the athlete receiving massage. An ancient Thai bodywork modality that works with both the physical and energy body. There is constant body contact between the giver and receiver during which the receiver’s body is compressed, pulled, stretched and rocked. This modality is performed on a mat rather than a table. The recipient remains clothed during a treatment. This technique uses small glass cups as suction devices which are placed on the skin to help pull the skin, muscles and connective tissues away from underlying structures. The cups may be held in one spot or the therapist may choose to gently move the cups across the skin. Cupping may help loosen muscles, remove adhesions and encourage blood flow. While most massage modalities use pressure to achieve results, this ancient practice pulls up on the tissues. Reiki is a Japanese healing art that targets the entirety of the human experience: mind, body, and spirit. The practitioner uses a meditative state to access high-vibrational healing energy which is transmitted through the hands to the client. 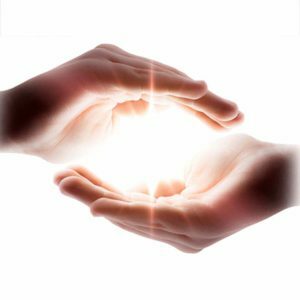 Reiki can be used as a method of healing physical and emotional ailments, as well as a positive relaxation technique to promote an overall sense of well-being. Reiki may be performed with or without physical contact between the practitioner and receiver. Chair massages are a great way to get relief if you are on the go. We are happy to offer chair massages on site at your business, gym, or sporting/special event. Many business like to offer a day of chair massage for their employees as a way to help promote mental relaxation; in turn helping their employees to be more efficient workers. Many clients say they feel energized, rejuvenated, valued and relaxed after just a 15 minute session.